Here’s our fantasy premier league teams GW23 article where we give our early thoughts on the FFGeek team for GW23. We look back at gameweek 22, The team planning schedule, transfer thoughts plus early captain thinking. So 142k OR and a 22k red arrow. 3 players returning, 2 of them only an assist is going to be a red arrow no matter what. A very disappointing set of returns apart from Salah. I had thought even with all the injuries I could avoid a red arrow but it was not to be and only 8 points from Sane on Monday saved me from even further problems. If I hadn’t finally sorted out the Salah mess I dread to think what the rank would be now. The template absolutely murdered me this week. My differentials are non existent due to my team value and my template replacements have to step up each week to avoid continued red arrows. Lastly the ridiculous Lovren injury when Klopp plays Lovren at CB against Wolves cost me 7 points depending on which Liverpool defender people have. 7 points further down. Despite the differentials being Morgan and Barnes I had decent hopes of both returning but Leicester’s Mendy played as if it was Rugby and I had pain of watching someone else other than the injured Danny Ings take the penalty. Burnley despite the win just didn’t perform at all vs Fulham. The situation isn’t looking great at the moment for my team. Without a Liverpool defender (although the downside mitigated by the Alexander Arnold injury to some extent). Also Arsenal have some tricky fixtures while Everton’s fixtures look good. Also add in the mix, less than ideal differentials to pick up the slack and it’s not a great situation at all. By the way, just to add further pain, great fixtures for Man Utd where I have no one at the moment and it’s looking like a tough spell especially with me 70 points or so behind my last seasons rank of 17k. 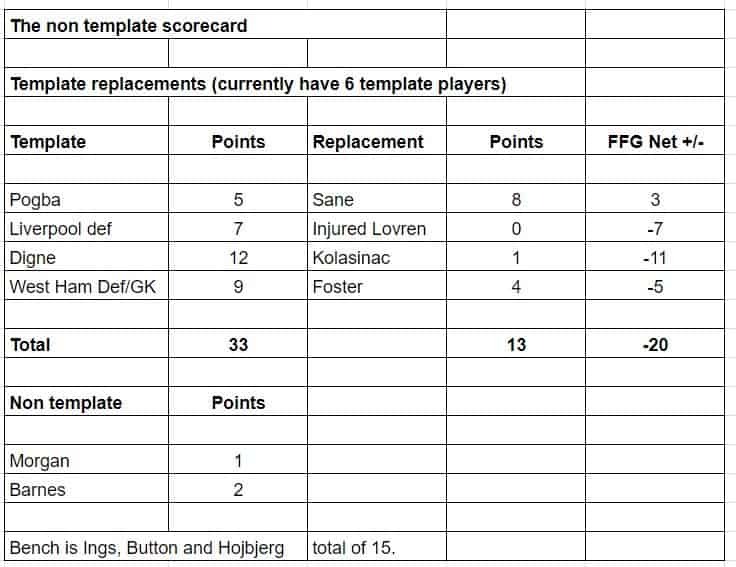 So for this gameweek the template replacement battles see Foster in a good place to outscore Fabianski although not the case for Digne vs Kolasinac. The Alexander Arnold injury will mitigate the loss that the Liverpool defence template will inflict. I’d bank on Sane outscoring Pogba. That assumes Sane starts although with Ben Mendy back soon I imagine he will be lined up for rest after that so hopefully he keep being trotted out. So the template replacement position looks ok. The differential position is only Ings and Barnes. I’m expecting nothing from Barnes but if Ings is fit he’s always a prospect to score against the non top 6 sides. Obviously Aubameyang or Rashford could be differentials depending on transfers and Rashford especially you’d be looking for points. On the face of it the odds for the attack aren’t too bad. Defence needs Foster and Doherty to return as I can’t see Morgan or Kolasinac doing so. 1 free transfer £0.6m in the bank. So assuming Kane is injured, reports indicate he will be out for as much as month, although no statement from the club as I write this. Then I will probably do Kane to Rashford for the Brighton and Burnley home games to come. I have thought of going for Aubameyang who has a nice clump of fixtures after this week starting with Cardiff at home (although Man City in the middle). If I transfer in Aubameyang instead of Rashford then I would then get Pogba instead of Rashford through Hazard or Sane. The Aubameyang transfer would also make it easier to get Kane back. I need to have a think. It’s unlikely I’ll do anything before the end of the week. I should be able to get a full team out without having to revert to Wan Bissaka coming off the bench although it would help if Ings is fit. Otherwise it’s closer to Wan Bissaka having to to take his place which is far less than ideal. I had thought of a wildcard as the situation is so tricky but if you read my double and blank gameweek article it looks like it will be tough with the wildcard let alone if I use it now. There is no decision required. With Lovren seemingly out and Hojbjerg a bench player and Wan Bissaka v Liverpool then the bench is decided. With Kane seemingly out it’s hard to see past Salah even with Sane v Huddersfield as there’s always the no show risk with Sane. Here’s how the team lines up at the moment. I’ve put Lovren in just in case he miraculously becomes fit and Ings in the lineup as well on the assumption he’s fit. Ok so ive finally got Salah back for Martial and Jimenez for Auba. Did it on Sat because it seemed very likely Salah was going up in price, which he did. Dunno if I should take a hit to get Rashford in for Kane and let it ride. I will definitely lose 0.1m if I keep him and Im assuming Rashford will go up at least once (maybe twice with Kane out) so thats 0.2m minimum i will lose if I dont take the -4 hit…worth it? I’d do Rashford for Kane. Assuming Rashford plays you’ve already got 2 points covered even if he doesn’t return. You also save on team value and of course don’t have to use next weeks free transfer to sort it out. its not just the price rise, you also are getting someone in with a great fixture and great form, who is likely to score bigger than your sub that might otherwise play. Feel your grief with the red arrows.. I myself went through a downward spiral in 2 gw but thankfully I managed to pick myself up last round. I managed to get Salah back last gw as well but I sacrificed Hazard. Hazard just not performing consistently for his price tag. Yesterday I saw a huge sale on auba, I decided to sell auba for rashford and now I have a nice bank balance of 4.0. Question is I don’t have any man city coverage. Who would you recommend to get? Sterling, sane, aguero (if Kane is confirmed out) or kdb (differential)? I plan to sacrifice F. Anderson/Richarlison for it. With this transfer I will incur a – 4 (because of auba to rashford transfer) but could be worth it as they face huddersfield next. Are you now going to take team value more seriously do you think? Lol, it was a serious question with a bit of banter thrown in. But I see how it looks a bit harsh! Arsenal’s and auba’s streak seems to over and with the mix games coming up I thought if I gain a couple of positive value, why not? I remember that the end of my last season my TV was close to 105 and I had an upper hand over my mini league and managed to get a couple of expensive transfers in and just nick my league. Also at the point of transfer I didn’t expect the Kane rumor to be out for a month. So even though TV is not the priority, I feel it will carry some value as I aim to beat my previous rank of OR 35K. For some reason i’m a bit obsessed at team value building. Spent first half of season value building which involved a few hits here and there, but only when it meant I could jump onto decent fixtures and try to get the 4 point hits back immediately. Team value has gone over 107. I already can afford Salah easily whilst not ruining any other parts of squad. Whereas minileague rivals that have Salah have to grind it out with a non playing defender, 4.5 mid and someone like kamara or success upfront. It is a massive advantage right now and until end having big team value. The only question mark is whether the hits from early buying and selling and constant price-watching can be repaid in past points and future points. I think it would be hard to say that having a high team value is not beneficial although to what extent it is I guess is debatable but what you need to do to get that (outside of being successful) doesn’t work for me. To do so you you often have to make decisions within short spaces of time to take early transfers and often before I’ve done all the work I want during the week. If I had forced myself to make early transfers in order to maximise value for 22 weeks I’d perhaps have £2m more than I have now. I feel that any benefit in gaining that money would have been lost along the way by doing transfers earlier than I would like. i agree with this. I think value can just come from making good long term decisions. Rob. I just copied and was about to paste that. Then I saw you just did. Eerie. There perhaps should be a discussion regarding some sort of potential calculated formula in the transfer and timing decisions and also when in the season the decision makes place. 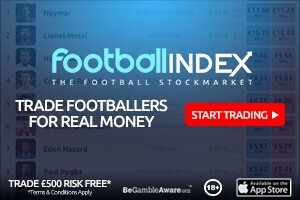 Can you have a decent OR by the last quarter of the season and have a higher than average ITB amount while doing so? Early on in the season it seems it makes more of a benefit to use a -4 here and there vs nearer end of the season, as it could not only help OR in medium term but also increase team value considerably. The cons of any extra transfers are obviously the -4 towards the short term overall rank. Take advantage of current form and medium timeframe fixtures. Take advantage or removing potential current injury. Take advantage of avoiding price drops early in the season for maximum long term benefit. Take advantage of price increases early in the season for maximum ling term benefit. 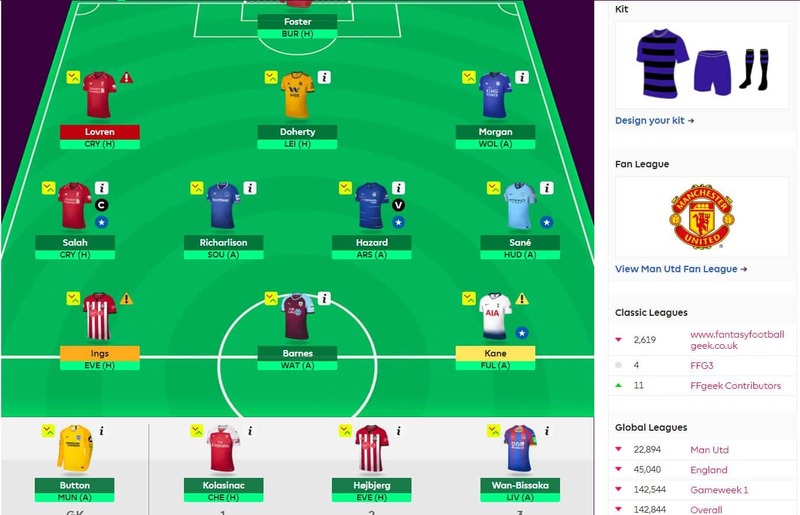 If you have a rule where there is more leniency in the early part of the season to take a -4, IF this transfer leads to: you get a price up for transferred in, you also avoid price down for transfer out, IN player has excellent form, IN player has excellent fixture run over 4+ weeks; then I think avoiding a -4 should be less of an issue. For form and fixture run: Would the transfer have also been ofset by additional points scored over the next four weeks when the transfer was made (essentially -1 for four weeks + the 4 week out performance). Eg. How many points do you (geek) believe you fell this week due to lack of ITB to have a high end player score for you last week vs the -4 earlier in the season to help with team value? If it was at least 4 pts could that offset one -4 early in the season that would have dearly helped OR net today? Would you also have more ITB? I think -4 hits are potentially slightly overthought early in the season. However, now that it is late in the season the potential outperformance over the medium or long term time frame gets shorter so it is less worth it. Also, at this point if you are high in the ranks all -4 hits would probably be ill advised at this time forward to hold OR. Just a thought. A number of serious teams seem to have 2-3M more value than geek with similar OR. However it was a gamble that paid off for them as injuries were avoided that could have been. Early week transfers for price changes went as planned for most this season it seems but could easily have backfired too from unforeseen injuries (eg. Whoever transferred in TAA already this week). I guess the strategy variance is why this game is so fun! Been tempted to swap Kane for Aguero for a week or so now so this has made my decision a little easier. Pep seemed to say that Aguero wasn’t starting due to an illness he had so I’d assume he would be starting soon. Having said that I imagine it will be hard to leave Jesus out considering his form. I was going to replace Lovren with TAA this week glad I didn’t do it early, now I have to get rid of Kane. 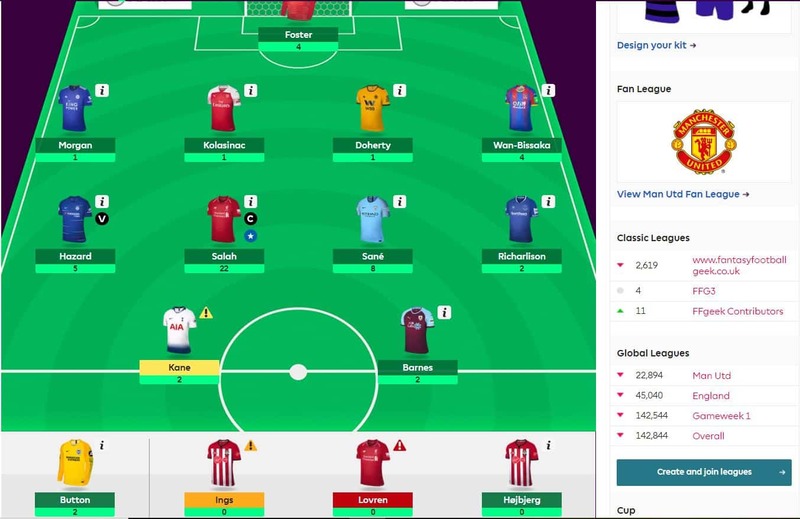 As an amusing aside in GW 20 and 21 my weekly position was 1.9m and 1.7m but I still managed a green arrow, this week I was only just outside the top 1m but got a red. After a few decent game weeks of 80+ points I think my teams taken a turn for the worst. Just did kane to jesus and son to David silva for a -4. I don’t think Walcott will be much use over the next few weeks and I’d be surprised if Carroll gets anything either. Need to get rid of Hart soon. Yes this Kane injury is a little troublesome as my team was looking good and my next few transfers planned out. If I knew for sure Aguero would start then he is the obvious replacement but Jesus form could mean that he starts instead. But Aguero has been the number 1 all season. He surely starts? Transfers already made for me this week. It might be a bit safe and boring but I think it gives me a good team for the upcoming weeks plus i can now invest the money saved from Kane sale into Sane/Sterling in midfield in place of either Anderson/Richarlison.